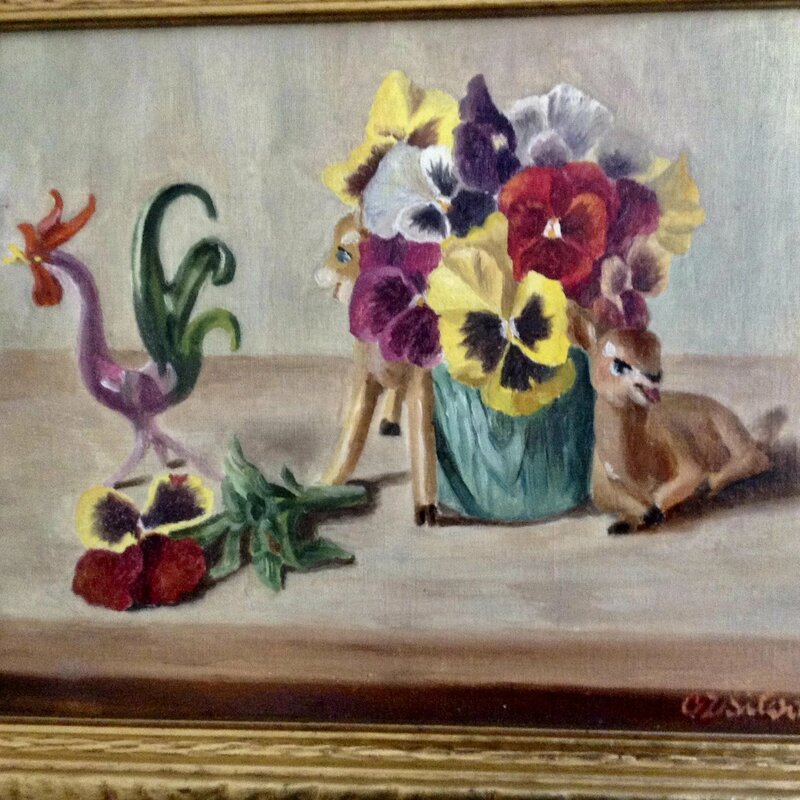 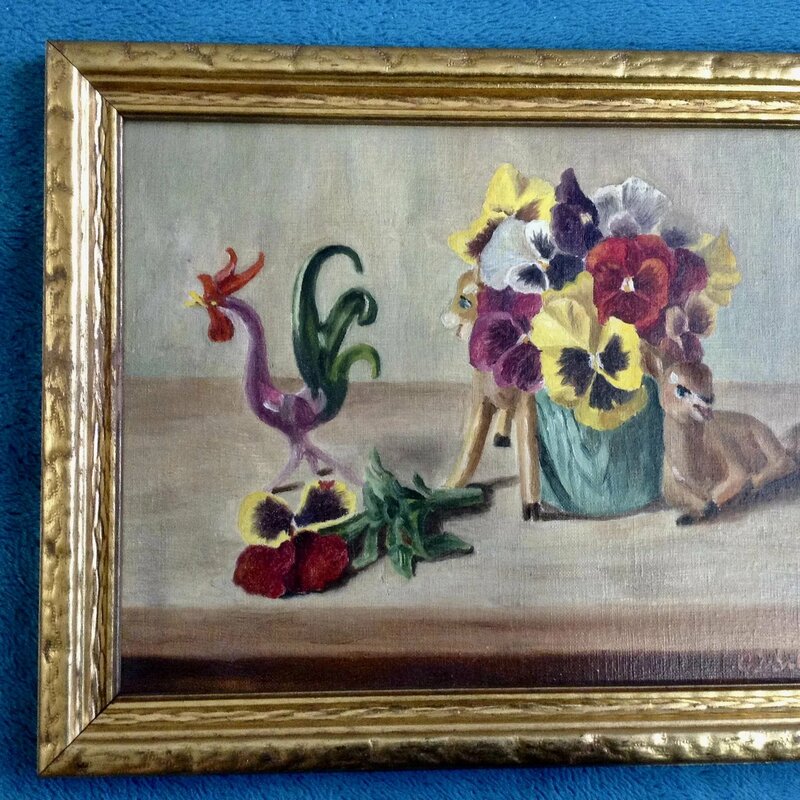 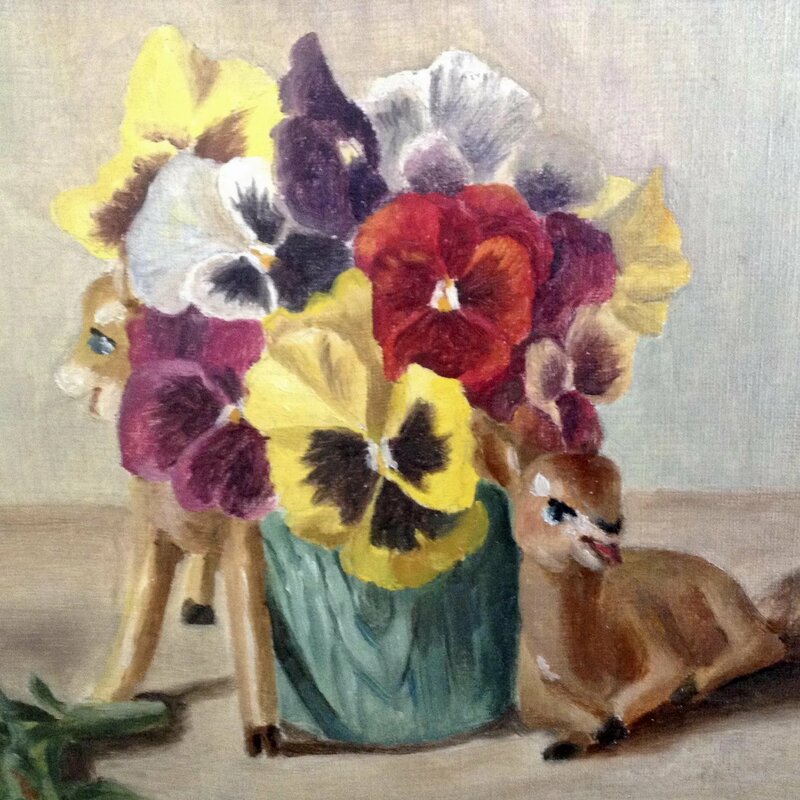 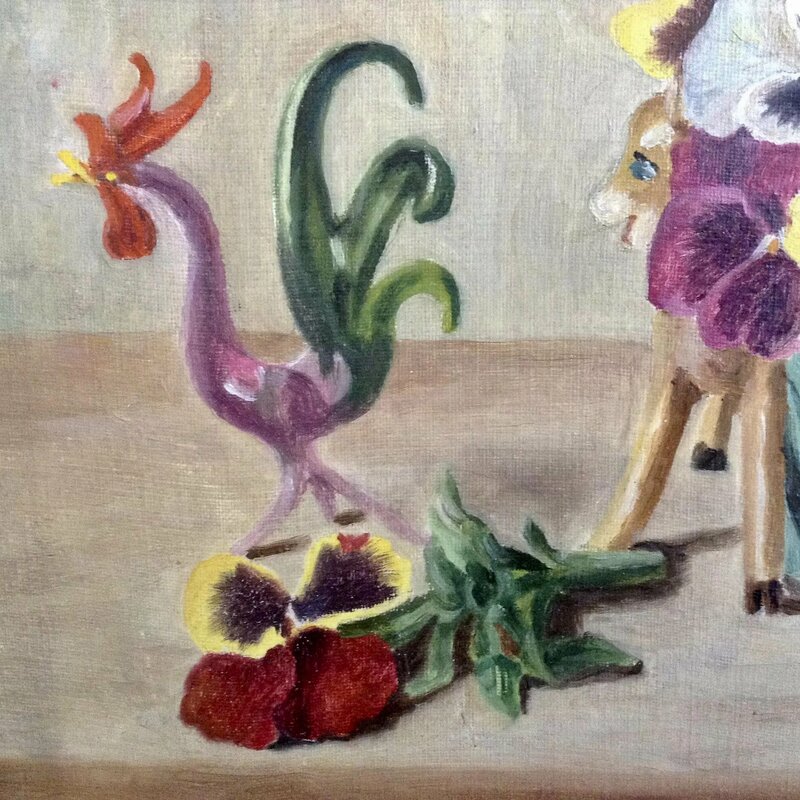 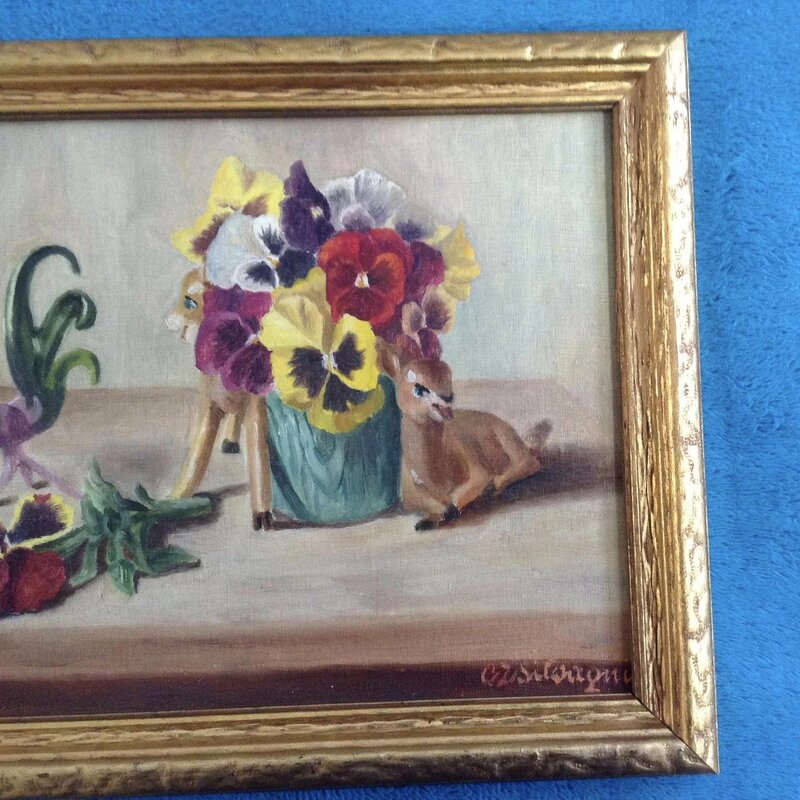 A deer vase full of multicolored pansies and a rooster figurine on a still life table scene. 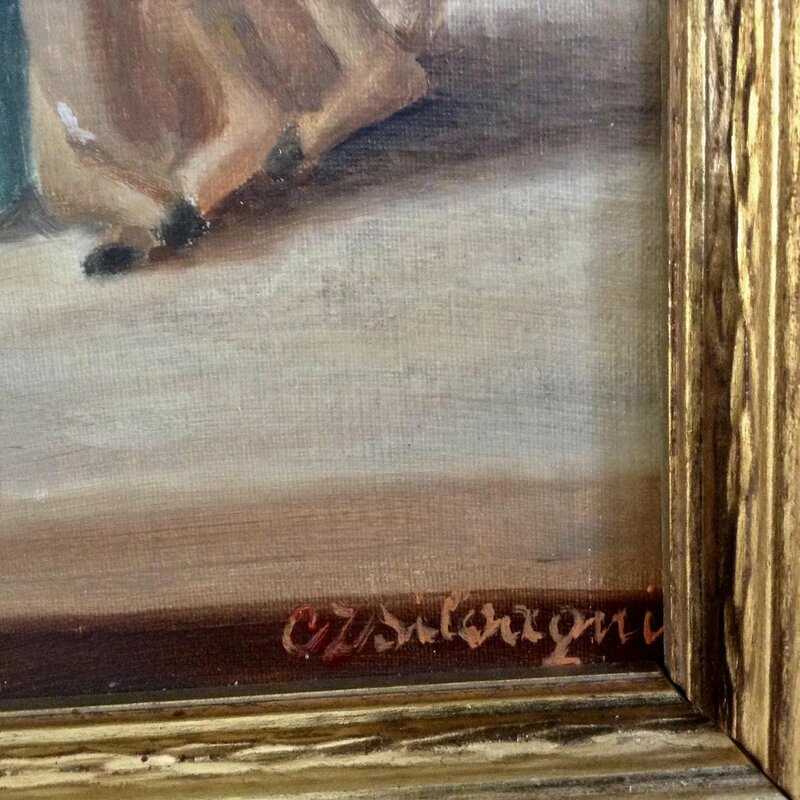 This is signed illegibly lower right what looks like, Crsiloagni. 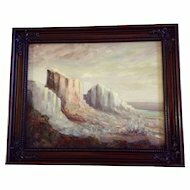 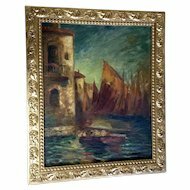 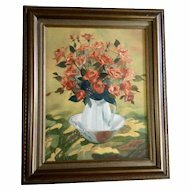 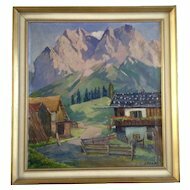 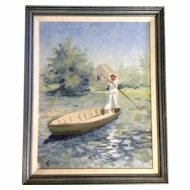 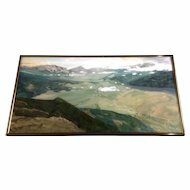 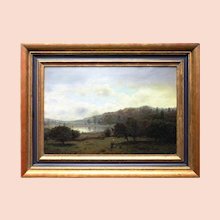 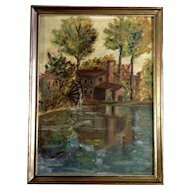 The oil painting on a linen canvas artist panel board is in great condition with no scratches, holes or water damage. 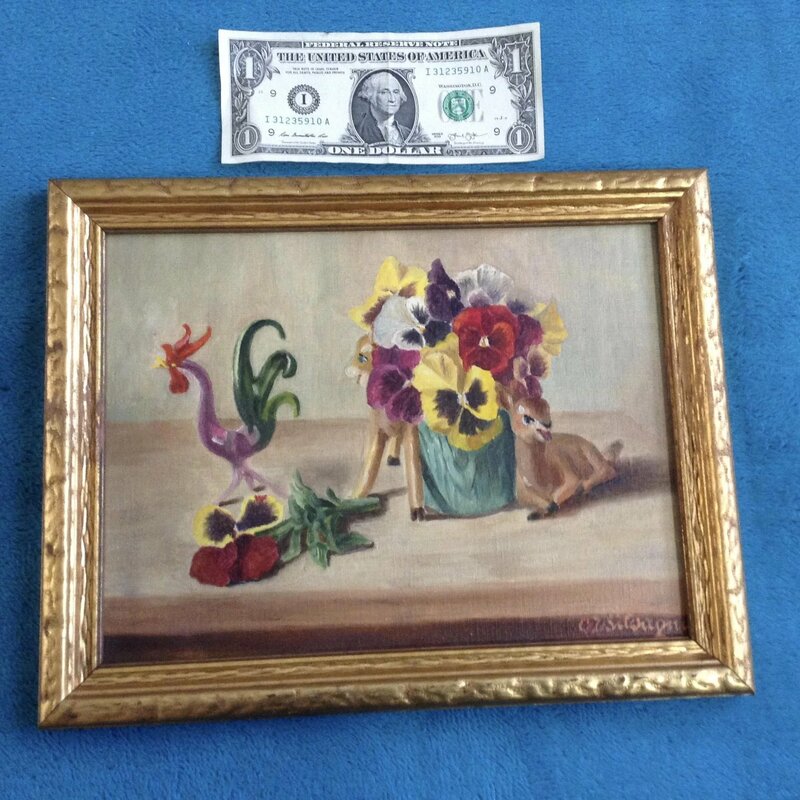 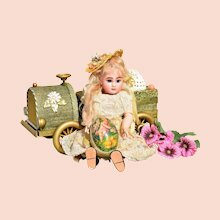 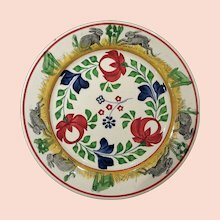 Painting measures 8 inches tall and 10-1/4 inches wide. 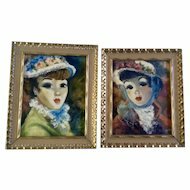 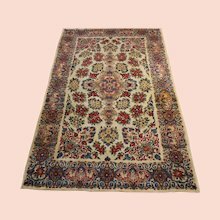 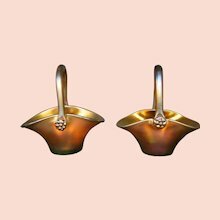 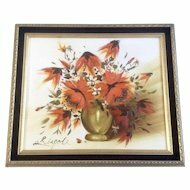 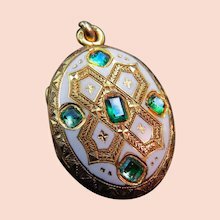 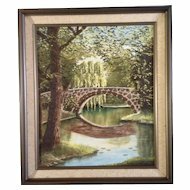 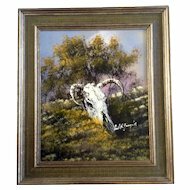 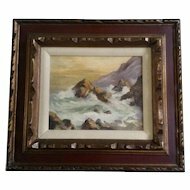 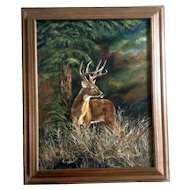 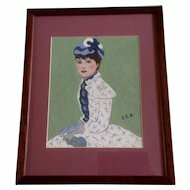 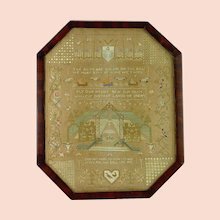 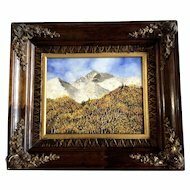 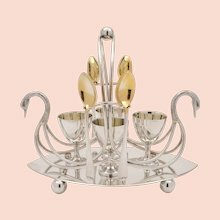 Set in a nice gold frame that measures 9-1/2 inches tall and 12 inches wide. 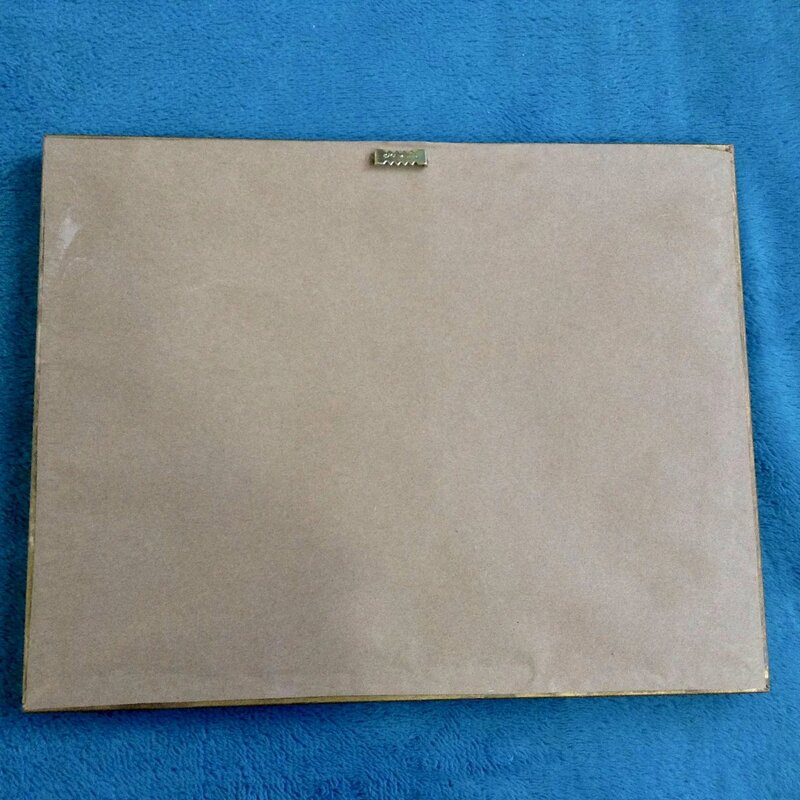 I had a new back paper and hanger put on to keep it safe another century.